Its always fun to work with old supplies so we days back i took out my dies and took out several cut outs. 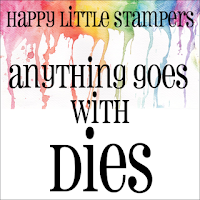 I used them to create 4 tags.I was amazed to see how beautifully we can add more interest to our die cuts by using them with paints, embossing powder and inks. i have few steps to share with you guys about how i created these tags , this is going to be a long post so please bear with it.. hee heee !!! For the base of the tag i used art alchemy paints , randomly swipe the color on tag base and than run it through embossing folder. After that gave it a light coat of white gesso and tag base was ready. Cut out doily , frames and circle rings using die and ink . Flowers are die cut first , inked and than shaped. Finally did the assembly. This one is my favorite and i really had great time while creating it. The base has a very delicate shine to it , which the camera didnt cathc very well ,but that really gives the entire tag a very rich look. For the base i mixed modelling paste with gold mica powder , gold ultra fine glitter and stencil it through tim holz stencil. Next build up the layers of color using Lindy's drop dead diva set. Cut out the frame , heart and tags using the dies and ink them. I heat embossed the negative of honey comb die and did the placement as shown . For the golden touch i used inka gold on all the cut outs. This one with masculine theme, here i used the negative of the alphabet die and i really liked the final look. For the base i adhered pattern paper on the tag base with multi matte medium and than stamped with various stamps and archival ink to build up the layers. Also sponged some ink through stencil , have a close look. Cut out the gears using die and heat embossed them using stampedeous metallic embossing powder. The clock in the center is first stamped and than heat embossed with UTEE. Spatter rust paste here and there. Stamped the sentiment on a piece of balsa wood and framed it with metal embellishment. This one is quite simple and the most bright one. For the base i sponged paints in the shade of brown and cream on the tag base and using the cap of my spray with white paint created those circles marks. The orange piece in the center is the negative of one of a die which i first embossed using one of my embossing folder and than inked.The lace pattern on each sides are first inked, trimmed into half and than placed on sides using multi matte medium. For the flower i placed two cut out alternatively after inking. Finally did the placement and finish of the tag with a sentiment and butterfly. Super set of tags, love the masculine one. 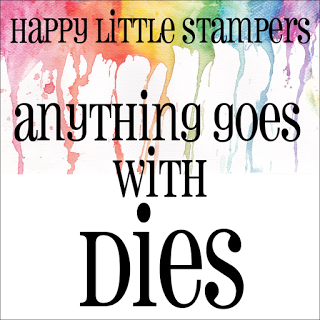 They are all gorgeous!Thanks for sharing at Happy Little Stampers, so happy you joined us!